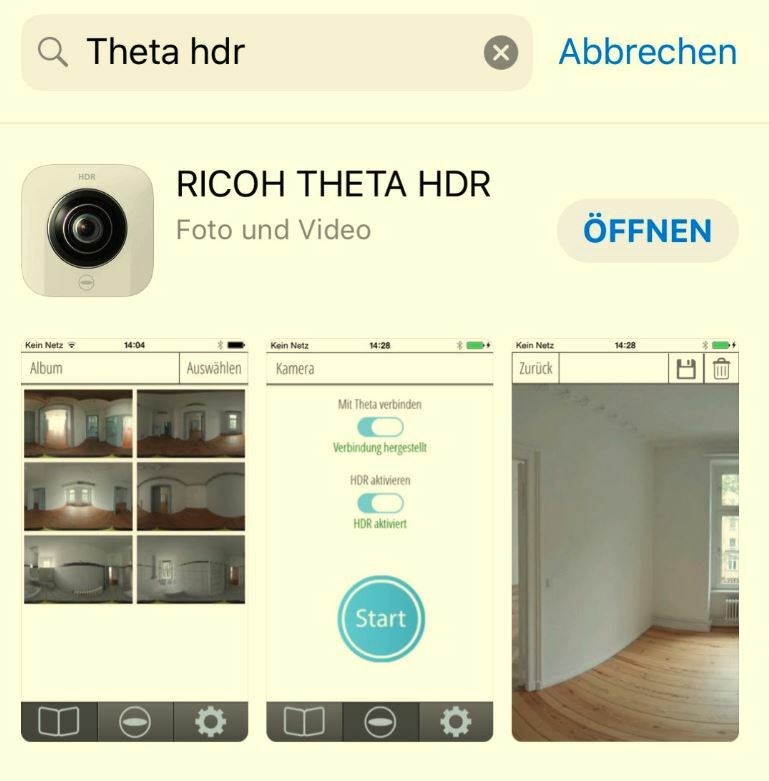 To get the best possible picture quality out of your RICOH THETA camera and upload pictures directly from your phone or tablet to your FEELESTATE Account, install the “RICOH THETA HDR” app on your mobile device (iOS & Android). 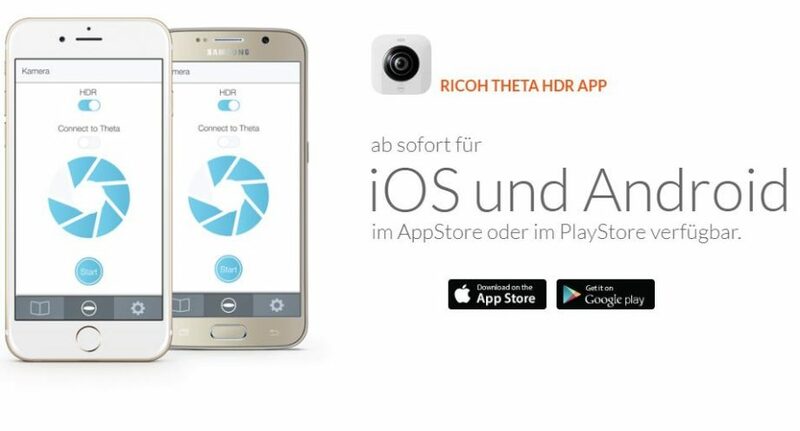 With the app you can remotely trigger your RICOH THETA camera and shoot 360-degree-pictures with great HDR-quality*. * High Dynamic Range (HDR) automatically combines three shots at different exposure levels to reduce the noise in the 360 ° image and improve exposure in all areas of the shot. The app can be downloaded for free in the App-Store or on Google Play. 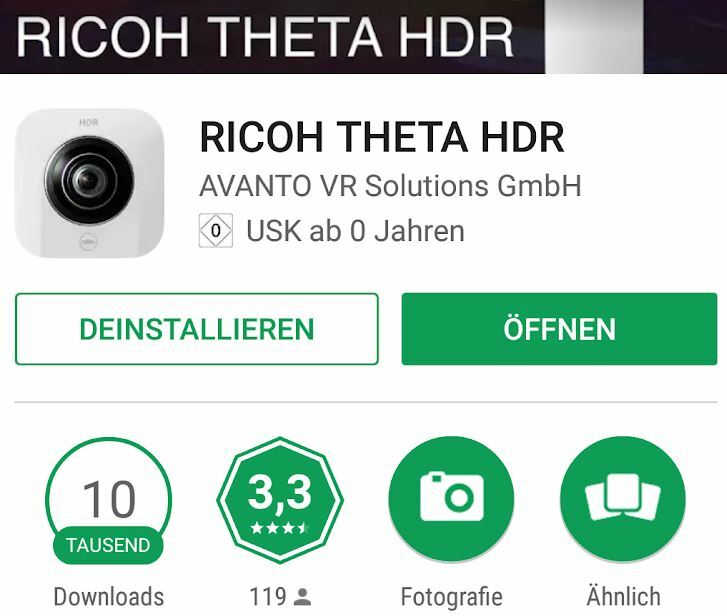 Search for “THETA HDR” in your app-store and install the app powered by AVANTO VR Solutions GmbH. A detailed guide on how to use the app to take 360-degree-picture and upload them into your FEELESTATE account can be found HERE.